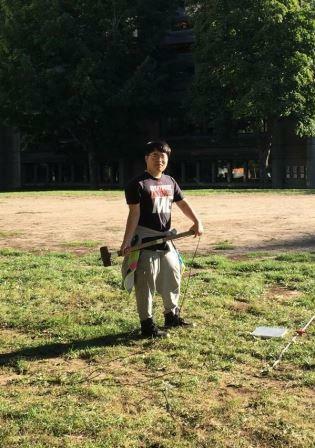 Bei is going to begin his third year as a Ph.D student at McGill University where he is focusing on geophysics under the supervision of Dr. Rebecca Harrington. He completed his MSc in applied geoscience at the University of Pennsylvania from 2011 to 2014, and his undergraduate study at Sun Yat-Sen University in China. At McGill, he is working on earthquakes caused by dynamic triggering from remote mainshocks near injection sites and induced seismicity related to shale gas development. The goal of his project is to investigate the relationship between the induced earthquakes, local geological settings and the industrial operation parameters. Project: Investigation of induced seismicity and its relation to the injected fluids based on observation data and numerical simulation at Montney Basin of British Columbia. Will the area where reported potential induced seismicity be susceptible to remote dynamic triggering? What will be the physical explanation of remote triggering? What factors dominate in the dynamic triggering process? How can we detect the induced earthquakes? Can induced earthquakes locations illuminate detailed fault structures? What type of faults induced earthquakes prefer to happen, pre-existing faults or newly hydraulic fractured faults? What will be the focal mechanisms for the induced earthquakes, do they follow the double-couple solutions? What is the magnitude distribution of induced earthquakes, i.e., Will they follow Gutenberg-Richard law and what will be the b-value for the induced seismicity? How are operational parameters related to induced earthquake production and magnitude distribution? Can a numerical model simulate the fluid migration and earthquake initiation process consistently with our observed data? Can I simulate the pore pressure distribution with injection data? Can I determine the reactivation pressure threshold of the fault system? Which faults are critically stressed and which are far from failure?